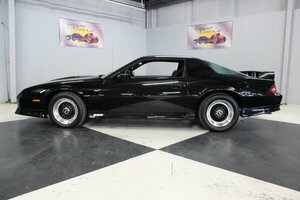 1992 Camaro RS 25th Anniversary Heritage Edition. Only 62,136 miles at this time. Original paint, interior and drive train. According to research, of over 70,000 Camaro's produced in 1992, less than 1100 had this exact package. You will be hard pressed to find another one in this nice of original condition. 5.0 Liter, 305 V8, 5 Speed manual transmission w/ cruise control, factory air (may need recharged). Original wheels included as I have changed them out. Online NADA classic car value shows over $15K.